For proteins, a feature of secondary structure that forms when two or more protein chains line up side-by-side. 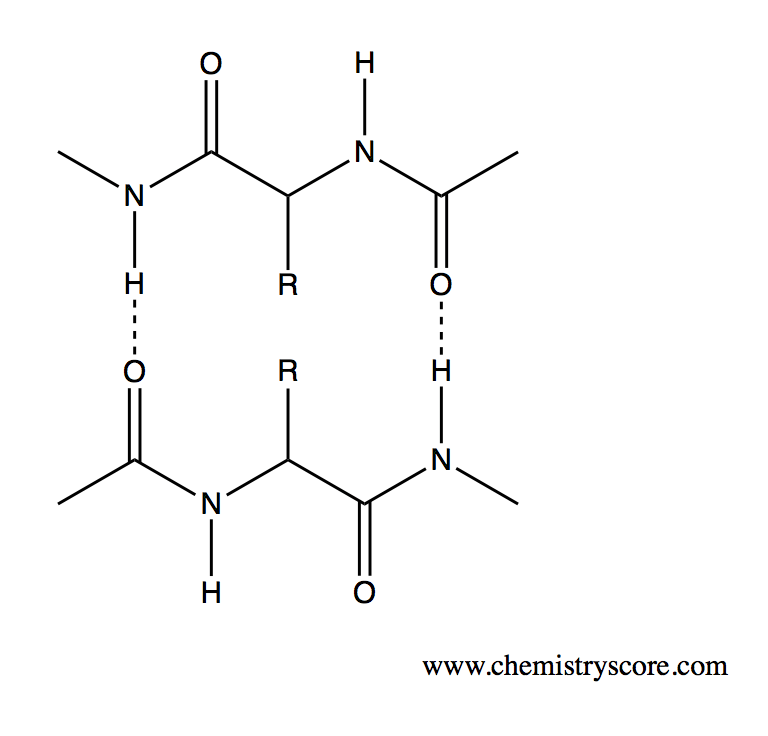 In this formation, hydrogen bonding occurs between the C=O and N-H groups. This type of formation usually occurs when the functional (R) side group are relatively small, because larger functional group will block the necessary proximity required to achieve hydrogen bonding.